Home › Home and Kitchen › Slicemall Harmless No Bark Collar Shock Anti Bark Control Training Collars Be..
Slicemall Harmless No Bark Collar Shock Anti Bark Control Training Collars Be..
EASY TO USE - As soon as Slicemall No Bark Collar arrives,Simply slip it around your dog's neck and the bark collars will work automatically . Color: Black Choose Slicemall No bark collars,Say Goodbye to Excessive Barking! 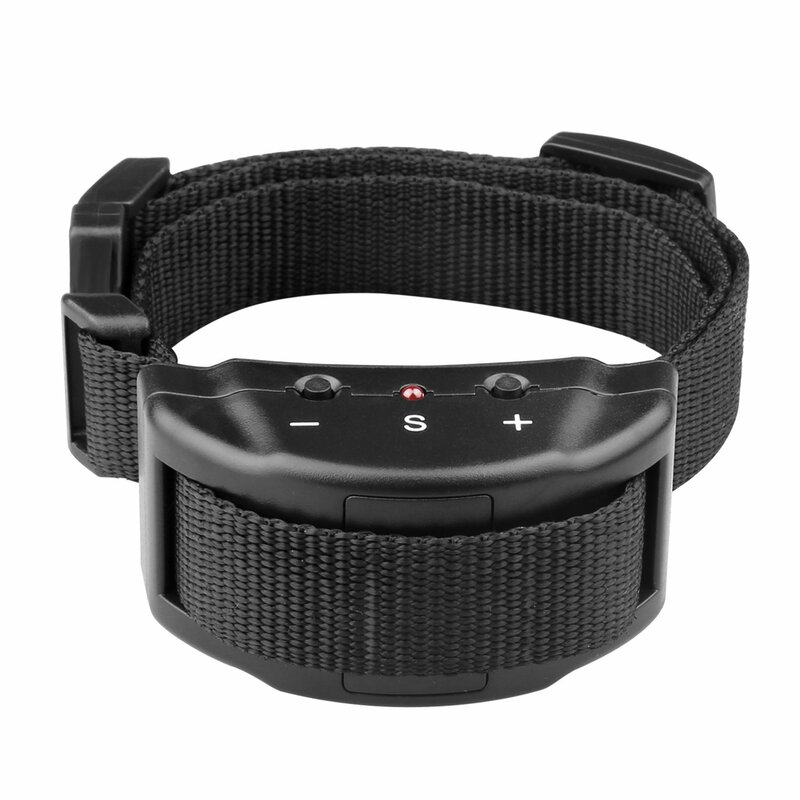 Slicemall Anti-Bark Collar improved with a better senser and control chip. Ithelps to effectively stops barking with progressively increasing sound andshock which is controlled by a microprocessor distinguishing your dog's barkfrom other environmental noises and automatically delivers sound and shockafter each bark, most of the pets will quickly understand the new sensation istelling her to be quiet. It can be adjusted to control the sensitivity of thevoice, according to the size of dogs barking How to it works: When your dog barks, the collar releases a warning stimulation thatdiscourages unnecessary howling.Should your pet continue to bark, the collarwill move through the seven levels, gradually intensifying the stimulationsuntil your dog is quiet for thirty seconds. But don't worry,Slicemall No Bark Collar is completely safe and harmless toyour pet! For added protection, the collar stops working for one minute shouldyour dog reach the seventh level. And because it fits dogs between 15-120 pounds, it's great for nearly allbreeds. You'll get the relief you need!